Step into paradise in God’s own country at Travancore palace, our very own heritage hotel for an experience that you will not forget. 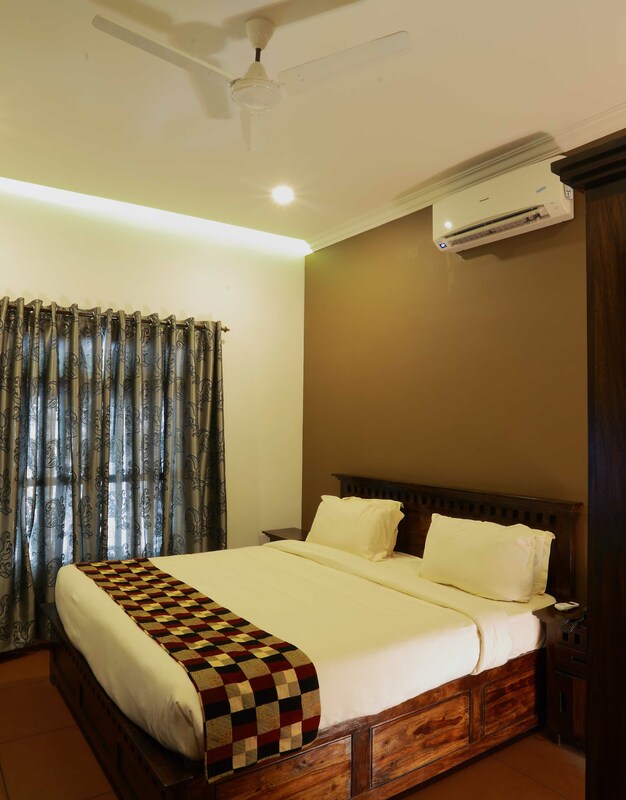 Nestled with tranquil surroundings of Kerala, the hotel is away from the hustle and bustle of the city enveloped in peace serenity. Every corner of our hotel captures the timeless beauty of Indian architecture, which has been acquired by the antique collecta-bles from different parts of Kerala, and it gives the hotel a museum like feeling. These rare pieces are a treat to our guests which teleport them to our rich Indi-an past in a glimpse. A hearty meal at our signature restaurant Akathalam, or an afternoon relaxing in the lush green sprawling lawns amidst the timeless architecture, at Travan-core Palace we are never short of luxuries to treat you. 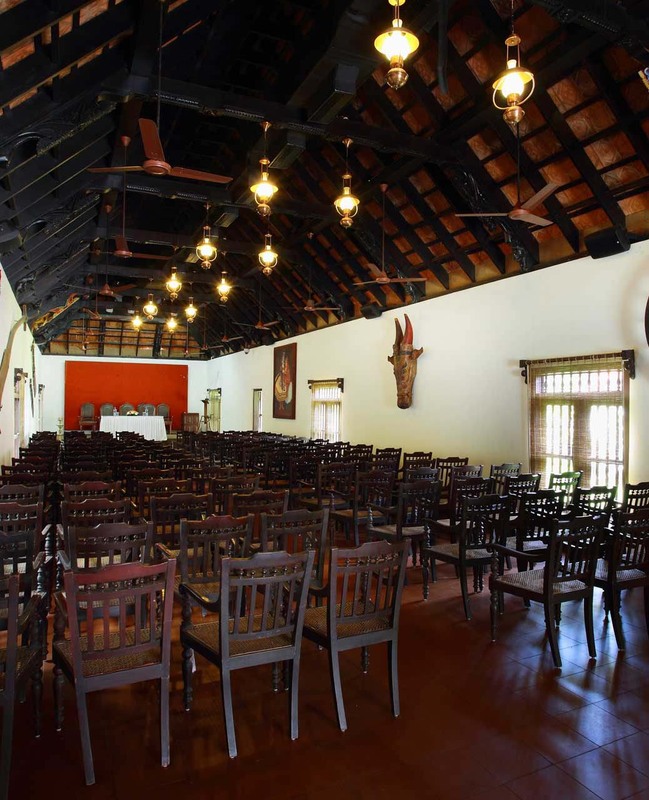 We have a fully equipped two state-of-the-art banquet halls with an adaptive seating arrangement which is the ideal venue choice for conferences, seminars, workshops or small gatherings. We also have a plush open-air lawn area which lights up under the stars creating a visually perfect spot for all your large banqueting requirements. Our team of dedicated staff is always ready to assist you in executing your ideas. Akathalam, our signature multi-cuisine restaurant is a celebration of classic Kerala cuisine where we create a revival of iconic dishes, local ingredients, prepared with care and presented in style. 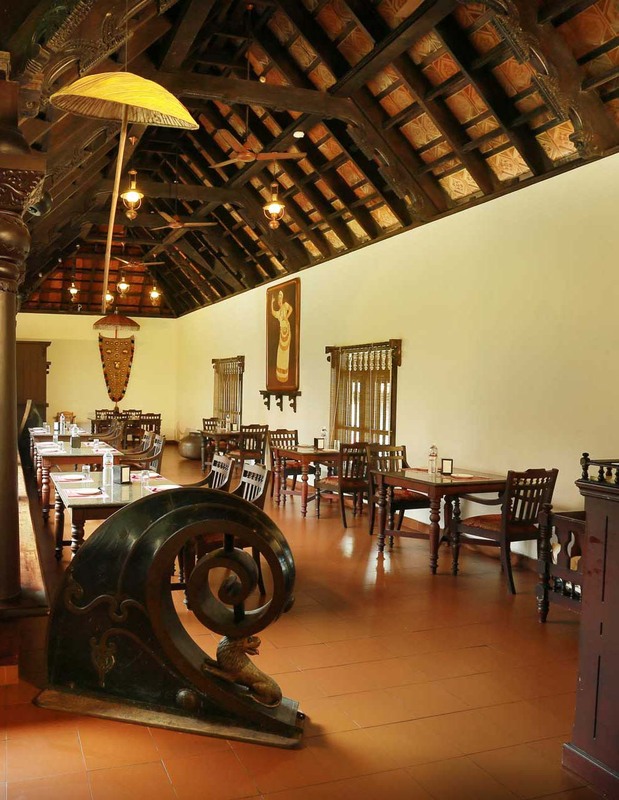 The restaurant reflects the ancient Kerala vibe in its food, architecture and the overall feel. Travancore Palace features a Beer & Wine lounge for our customers.